The single story Sequoia has 1,792 sq. 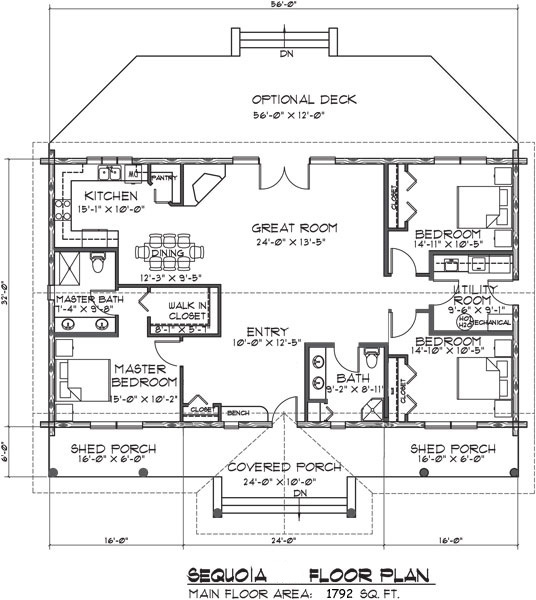 ft. of living space in a ranch-style design. A woodsy covered entry porch offers a charming entrance to the great room with adjoining dining and kitchen areas. The master bedroom becomes a private retreat with its adjoining bath and a generously sized walk-in closet. Two more bedrooms flank the second bathroom. 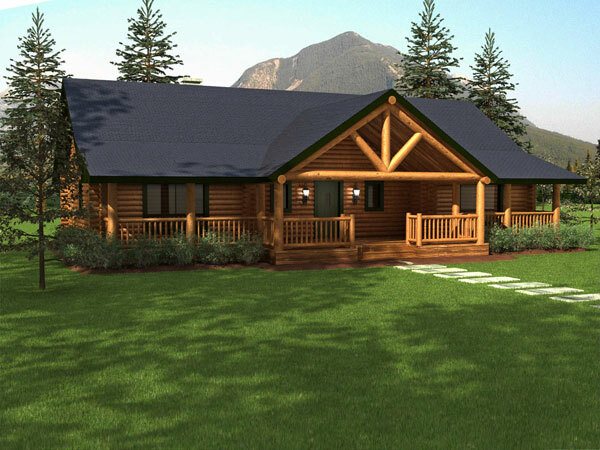 This well-designed floor plan works well as a family home, a woodsy retreat or a retirement home.